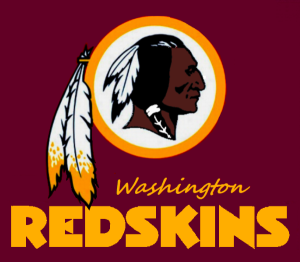 The NFL team in America’s capital is called the Washington “Redskins.” Is that a racial slur against Native Americans? Recent conversations in this heated debate revolve largely around the moral ideal of honor. Here’s the story. 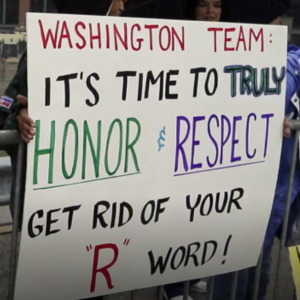 Native American leaders have argued the “R-word” is a racial slur. Even President Obama and dozens of U.S. Senators have publicly called for a name change. But the team’s owner and the NFL commissioner have so far refused, as the Redskins brand is worth millions and millions of dollars (see 2-minute video here). Last week, a national poll from the Washington Post found 9 out of 10 Native Americans are not offended by the Washington Redskins name. Amidst the flurry of ensuing public comments—the topic of honor is a common motif. Here are some quotes. Does “Redskins” dishonor or honor Native Americans? How does the notion of “honor” help resolve a public debate with various stakeholders? Here are three things to consider. Names Imply Status. The conversation is an interesting reminder about social meaning of names. They are not neutral designations, but attribute identity and status. Your personal name situations you into a specific community—e.g. Steve Jones or Vladimir Petrovich. A group label such as “Gentile” in the Bible is not harmless, as it subtly implies outsider, unclean, other, rejected. Names imply status and carry power. Your comments on the matter? As always, keep them constructive…and honoring. I’ve always been a bit disturbed myself with the title of the team, even though I am non-native. But I am more bothered by the tomahawk chop they use. That to me is quite the stereotype of a scalping Indian, which is an historically inaccurate portrayal. That really bothers me and I cringe when I see it. Yet the logo of the Indian is one of a strong, proud man. And I’m not sure the team would pick a name with the intent of offending or mocking. They would want one that depicts the qualities of their team…strength, perseverance, pride, determination. Yet, at the same time, knowing the history behind white aggression and the evils perpetrated against the Native Americans, evils that stripped them of their honor, strength and culture, does anyone have the right to claim a symbol of the very qualities that were stolen from them? On the flip side, we are a nation of self indulgent, “my rights come first” people who are ready to sue every time someone offends us. Multi millions are spent every year on such offenses. We preach tolerance as long as it doesn’t affect us personally. Not an easy answer either way. Marlee, good points on both sides of the issue. Thanks for sharing that.